pick, pack and ship your customer orders. From that list, it’s easy to see that your warehouse operations play a critical role throughout your entire order fulfilment cycle. That’s why it’s so important to get your warehouse operating as efficiently as it can: it will save you money, reduce your risk, speed up your fulfilment, and improve both staff and customer satisfaction. Let’s take a look at some simple steps you can take to optimise your warehouse efficiency for a better bottom line. I’ve put this one first because it’s often overlooked, both in practice and in articles on the subject. Your warehouse staff know all too well the problems with your warehouse layout and processes, and they’ve probably got the skills and experience to fix them, but not the resources or the authority. So make sure you’re listening to their feedback, and that you have a plan in place for assessing their ideas, sharing that assessment with the team, and implementing changes where there’s a clear benefit to the business. Be proactive and ask your team for feedback. Adding a suggestion box to the lunchroom is a start, but it’s really not enough. 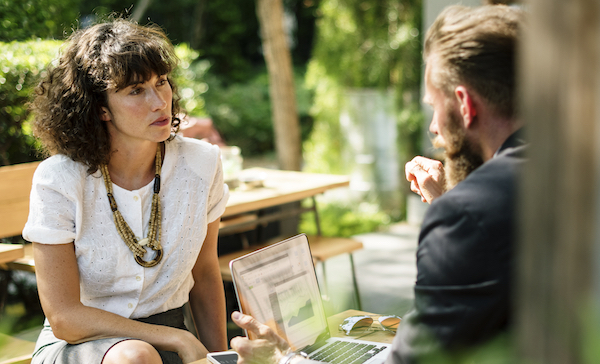 Staff members rarely raise issues with management unless they think it’s a really big problem, and they’re rarely in the best position to assess the size and impact of those issues or the cost to the business of not addressing them. So be proactive about this one. Get out there and ask your staff what they’d change if they could, and why. Your warehouse will operate most efficiently if every process is carefully specified and written down for easy reference. But many business owners have an aversion to process documents, thinking they take forever to create and then no one looks at them. This couldn’t be further from the truth. It’s actually a relatively easy task to describe your existing workflows in a simple flowchart, and nothing else highlights opportunities to improve efficiency quite like a chart that looks unnecessarily complex, with too many steps. they’ll understand where they fit into the big picture. And you’ll find it easier to train new staff and assess your team’s performance, with clear guidelines in place for how each job should be done. Warehouse space isn’t cheap, so you’ll want to put in some planning to get the best possible use out of the space you have. If you spread out too far, you’ll not only be paying higher lease expenses, you’ll also be losing productivity as your employees need to cover a greater floor area to pick orders. But if you jam stock in haphazardly to minimise your floor space, you may end up with clutter that slows your team down and places them at a higher risk of workplace injury. So look for a balance that maximises your storage and allows your staff to move quickly and efficiently through the warehouse. Plan your warehouse layout for optimal picking and packing efficiency. You can’t improve your customer experience if you’re unsure of what needs to be improved…so measure it! In the warehouse, your key contributions to customer satisfaction are the speed and accuracy with which you dispatch orders. To improve your speed and accuracy, you need to deep-dive into your processes and really understand where you’re losing efficiency. keeps your warehouse space tidy, for example by breaking down and removing shipping cartons. By implementing a quality control (ISO 9000) or quality management (ISO 9001) system, you’ll be able to evaluate and adjust your warehouse processes to deliver the best (and fastest!) outcome for your customers. integration with your freight partners. Neto is the only Australian retail management platform that provides a complete solution for ecommerce, point of sale, inventory, and fulfilment. Also known as a 'unified commerce' platform. Our integrated back-end technology enables exceptional and consistent customer experiences via any channel, be it in-store, online or through a marketplace. We automate repetitive tasks and integrate with multiple sales channels to manage orders and shipments. To find out for yourself how Neto can optimise your warehouse operations, start your free trial today. There’s no one-size-fits-all solution for laying out a warehouse. Many factors determine the best layout for your retail business, including space constraints, ordering patterns, and picking processes. Here are a few of the picking patterns you might choose, and warehouse layouts that suit each. If your number one priority is getting each order out the door as soon as possible, you probably use this approach in which one staff member walks the floor to pick all items. 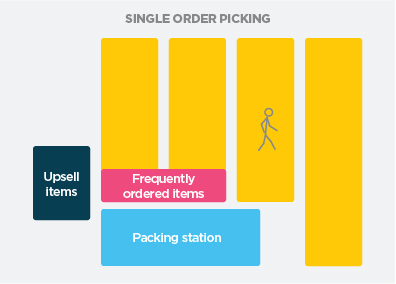 To minimise their walking distance, store frequently ordered items close to the packing location, with upsell items nearby. This is an effective approach to getting more orders out the door by picking several orders at once. One staff member walks the entire floor with a cart designed to collect items for several orders. If you’re using this approach, you can afford to space your items out further, but you’ll still want items that are frequently ordered together arranged close to each other. In larger warehouses, it makes sense to give each staff member their own area of responsibility—a zone. They’ll be familiar with all items in their zone and therefore be able to pick items more quickly before handing the order to the next zone. 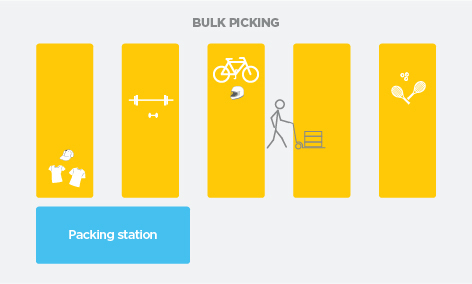 In this picking approach, it’s less important to keep upsell items so close together, so it’s well suited to “chaotic storage” where items are put wherever they fit when they’re received from suppliers. To keep your customers happy, your business running smoothly and your profits increasing, it’s vital that you get your business processes streamlined and running efficiently. How exactly do you do that? Glad you asked, our ultimate guide to back-office optimisation will teach you exactly that.